We have moved! Follow us here! We appreciate your interest and know you will enjoy our new site and resources! Jennifer and the Family Paws Parent Education Team! Are you guilty of PASSIVE supervision???? For many years I wanted to offer a program that was dedicated to AFTER the baby was born...you know, when babies begin moving around and becoming interesting and sometimes concerning to dogs. This is where the concept for THE DOG AND BABY CONNECTION came into play. When I thought of all the things parents are told to do with kids and dog the first thing that came to mind was SuPERVISION! I heard this consistent message from books, professionals and even said it all the time myself. 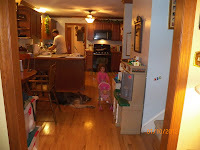 But what does supervision really mean when you have a house buzzing with activity of kids and dogs?. What does supervision really look like? 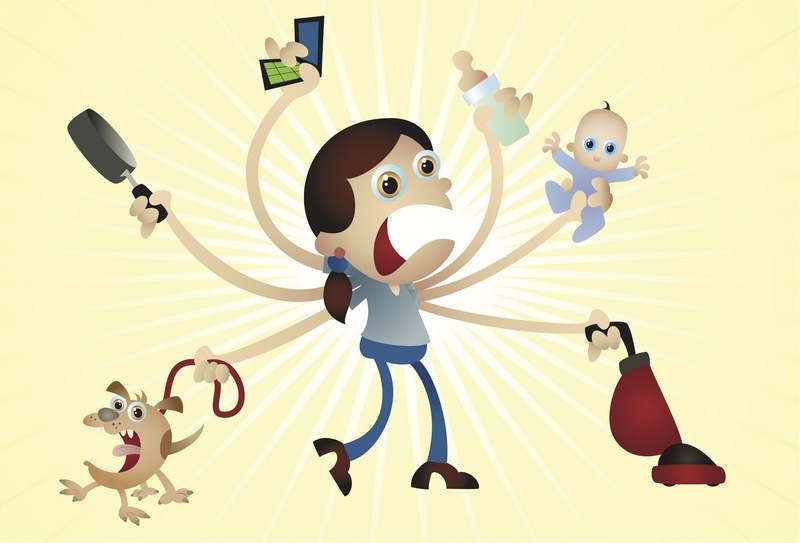 Many families look shocked when I describe what true supervision for success with dogs and babies/toddlers/kids looks like. So, I decided that it might be helpful to break it down into categories. I created 5 types of supervision we all are familiar with. I know I am guilty of stealing a second here and there. Of course! Toddlers and babies, as cute as they are, can only entertain the adult mind for just so long before we get antsy. We then find ourselves checking email, texting, playing words with friends or whatever. 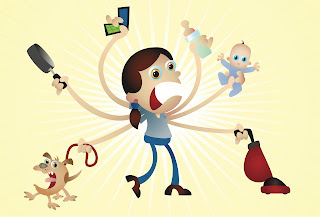 We are living in a world of multitasking mayhem! It is crazy that when I lie down with my toddler sometimes for nap....I bring my ipod, kindle, blackberry and home phone. Yep it is true....I chat and do work next to my needy toddler who insists on my being close for naptime. Oh, I am often listening to an audio book and playing a game at the same time..thus the multiple devices. Back to activity is "passive"
It is no wonder then that we have oops moments. Busy lives means passive supervision at times. Being aware of this term and thinking about it is a great step to being on the path to "proactive" supervision. So, ok, now you think i have been spying on you and are feeling unsure of how to change from passive to proactive supervision? Well, the good news is that you can. Passive or distracted supervision can be avoided by just being AWARE! We have a rule that if we are on our laptops and Kelsyann is roaming around actively playing then the dogs are in their 'success spots." Crating, gating, outside time, or being in a room on a comfy bed are all great options to plan for passive moments. With four dogs and all different personalities I am always doing a head count for who is where. Years of teaching toddlers and preschoolers comes in handy here. I supervise like a hawk or border collie LOL. My husband has a different supervising style. It is important for us to communicate our comfort levels and what works and what does not. 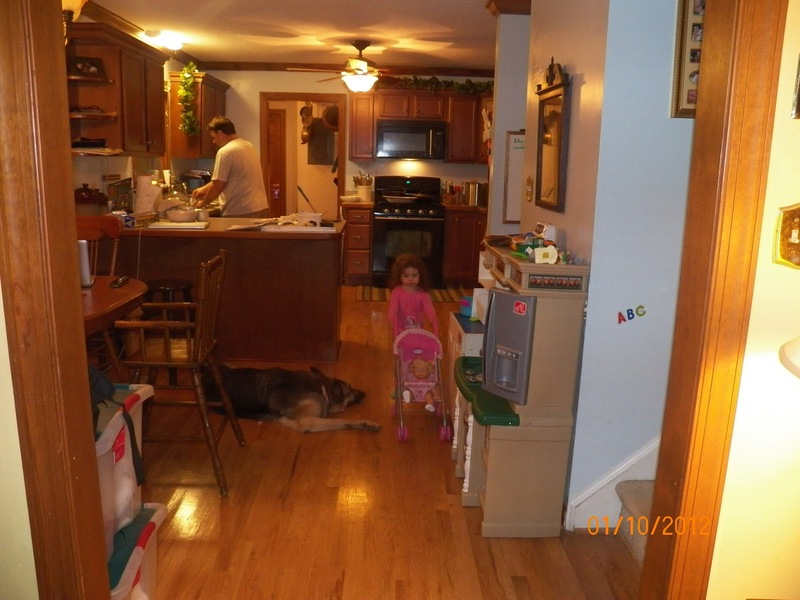 Communicating as a team is important for parents when having kids and dogs. Keeping the rules consistent helps your dogs trust that the adults are there for them when they need you. This decreases the chances of them feeling like they must always be on the alert and reacting without support when the toddler is around. It is our job as parents of dogs and kids to monitor and support our 4 and 2 legged kids. Learning how your dog communicates stress and a need for intervention is essential. I invite you to visit www.doggonesafe.com or join our monthly parent education webinars to learn how you can increase safety and decrease stress with dogs and babies under one roof! Oh....one last thing....it does get easier....the dynamics between babies and dogs is a heightened time of management and supervision....But the rewards and lessons are life long and so worth it! Puppies, patience and practical practices!